The District Attorney’s office has launched an expensive appeal regarding the matter of the 3 charges dismissed by the Pretrial judge in June 2008. As of today’s date, May 17, 2009, nearly a year later, I am still awaiting the decision of the appellate court to move further than the day it began. The DA’s office started off by filing 3 separate continuances each asking for monthly extensions claiming they needed more time to prepare before actually going forth in filing their opening brief. We are now in the month of May 2009 and I am still awaiting the outcome of the appeal. The appeal is under consideration and will soon be decided by the California State Court. Here’s where the problem lies, the case they are appealing has ALREADY BEEN AJUDICATED — AND I WON! 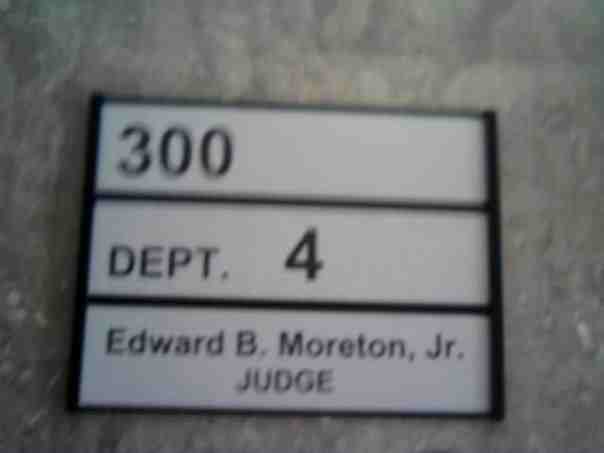 A jury of my peers found that there was no good ground for stopping me in the first place in June 2008. The jury said that the police did not prove that I had done anything to provoke the stop. With reference to the alleged battery on an officer that took place after the stop, it was never heard by the jury because it had been thrown out in pre-trial. It was thrown out because the police could not produce nor could they prove any of the so-called resisting arrest and battery on a police officer charges that were originally brought against me. Here we are over 2 years since this nightmare began for me, and it is so hard and downright painful for me to tell you what this has done to my life. Not only has it cost me my job with LAPD and several other employment opportunities, but the stress of what has happened to me has made a greater impact on my physical health. And let’s stop talking about what it has done to me and think about what it has and is continuing to do to the state, county and city budget. The amount of hours that have been wasted and the money that has been spent by the County of Los Angeles DA’s Office on a MISDEMEANOR charge that was already decided in my favor is MINDBOGGLING! On April 6th 2007, at approximately 1:30AM, my niece was driving eastbound on Century Blvd. in Inglewood, CA. She told me she stopped at the Yukon light, in the far left lane. The light was yellow as she approached, that’s when she noticed a police car was behind her. They both sat at the light for about 10 to 15 seconds. As the light turned green, she proceeded to drive a couple of feet and the police car turned on its sirens for her to pull over. She proceeded to the right, and stopped in front of Washington Mutual Bank on Century Blvd. Once she stopped, a deputy sheriff approached her vehicle. He was alone. He told her to turn off her car and keep her hands where he could see them. She put both her hands on the steering wheel. Next, he told her to step out of the vehicle. She asked him, “What did I do?” He told her again to step out the vehicle. She told him that she had just gotten off work and that she worked for LAPD, and she knew she hadn’t done anything wrong; she simply wanted to know why she needed to get out of the car? (She was very uncomfortable because he never once asked her for identification of any kind nor, did he identify himself.) He then stated “I don’t give a f*** where you work, get out the car!” She became very fearful. Its 1:30AM, She is alone, he is alone and he is not telling her why he pulled her over or why she had to get out of the vehicle. [We’ve all heard stories about law enforcement officers or people pretending to be law enforcement officers pulling over young women and then sexually assaulting them.] He didn’t identify himself, so for all she knew he could have been a fake —she had no clue!! He then yanked open her car door, grabbed her arm and forcibly pulled her out of the car. (Her car doors automatically unlock when her car is turned off.) When she was out the car he ordered her to put her hands behind her back and face towards the trunk of her car, keeping her back towards him. He then told her to face the hood of his patrol car which she did. While she was facing the hood of his patrol car, she heard him take out his handcuffs. That’s when she really started questioning, “Why am I being handcuffed?” “Why am I being arrested?” “Wait, what am I being arrested for?” “What did I do?” He ignored her. He never once answered her questions. He got her left hand in the handcuffs first as she was trying to look back at him and get an answer as to why she was being arrested. He proceeded to try and put her right hand in the cuffs as well. However, the way he had her arm angled he was unable to put the cuff on. She was telling him to please wait because it hurt. At that moment he threw her to the ground by her jacket and she was laying face down on the sidewalk while he was on top of her with his knee in her back. She started screaming at the top of her lungs, “Help, Somebody Help Me, Please!!!! !” She thought the man was crazy. He still had not told her what he was arresting her for. He threw her down like she was a man/criminal or something. She is a college graduate who weighs all of 110 lbs. As she was screaming at the top of her lungs, she heard him get on his radio and call for backup. Within seconds a handful of patrol cars, including officers from the Inglewood Police Department, came to the scene. The officers (all males) got out of their cars and ran to where they were. They came ready to attack, and they were all on her, grabbing her arms and legs and while she was still screaming loudly one officer put his hand around her neck in a c-cup position and began choking the life out of her. He was squeezing tightly and would not let go. She thought she was going to lose consciousness and possibly die right there on Century Blvd. She figured he was doing this to stop her from screaming so loudly. While he had her in a choke hold she was able to turn her head and get a good look at the deputy’s face. They made eye contact. She knows exactly what he looks like. After a lot of squirming and kicking trying to get out of his grasp because she could not breathe, he finally let go of her throat. All of the officers grabbed her by her clothes and hair, stood her up and tried to push her into the passenger side of the patrol car. At this point she was in handcuffs. As she was being forcibly guided to the patrol car she turned and asked, “Who the hell was choking me, I want to know the name of the officer who choked me?” It was at that moment that she was pepper sprayed at a very close range; she felt the stream rather than the mist of the spray. She knew she had been sprayed so that she could not get the name of the deputy who’d choked her. After she was sprayed she really started to scream because she couldn’t see and her face was on fire. The officers just kept yelling at her to get into the ‘fu**in’ car. She was kicking her legs and fighting for her life. She did not want to be closed up in the patrol car because she could not see nor breathe. She needed air badly. She truly thought she was going to die in their custody. Once inside the patrol car she was pepper sprayed again. The officers then closed the doors and windows and left her inside the vehicle with no air to breathe at all, just the pepper spray. She began screaming and kicking the door begging the officers to roll down the windows or open a door. When the officers did open the door it was only to tie her feet together with a rope like thing and close the door with the end of the rope on the outside of the door, with them holding onto it so her leg movement was constricted. She still needed air so she was still screaming. Finally an officer opened the door and rolled down her window about 2 inches and closed the door back. It was then the officers threatened to tase her if she didn’t shut up. This is just a portion of the HELL and BRUTALITY she experienced at the hands of the Lennox Sheriff Deputies and Inglewood Police Officers. She has endured the pain and suffering of a beating, she was arrested, humiliated, disrespected, and then found guilty by her employers at the Los Angeles Police Department when she was fired without a hearing, trial, and/or just cause. After more than a year of stress, fear, and sleepless nights her case finally went before a jury in June 2008. Right before trial, the judge dismissed the resisting arrest and battery on police officer charges, based on the fact that the Los Angeles Sheriff’s Department and the Inglewood Police Department refused to give her attorney all the reports and documents the judge had ordered them to produce. The Inglewood Police Department went so far as to say that the Inglewood officers had not prepared any report at all in connection with their role in illegally assaulting, battering, and falsely imprisoning my niece, even though they are mentioned in the Los Angeles Sheriff Department’s reports and they took the time to make statements against my niece in the Los Angeles Police Department disciplinary process against her. The remaining charges of reckless driving and possession of a small (less than .3 gram), unlit marijuana cigarette which her girl friend admitted she had accidentally left the cigarette in my niece’s automobile was heard on June 9th, 2008 at the Torrance Courthouse in Torrance, CA. My niece was found NOT GUILTY of the reckless driving charge and the jury stated afterwards that the only reason she was found guilty of the marijuana possession was because she didn’t deny that it was in her car. The arresting deputy who initiated the original false arrest, the person who grabbed her, shoved her, handcuffed her, kneed her and assisted in choking and pepper spraying her was found to be unbelievable and dishonest by the jury. The deputy’s name is Christopher Maurizi. Deputy (newly promoted to Detective) Christopher Maurizi is the son of Jan Maurizi, a high ranking official in the District Attorney’s Office of the County of Los Angeles. It is because of who he is and his mother’s rank within the DA’s office, that this matter has continued on as it has. 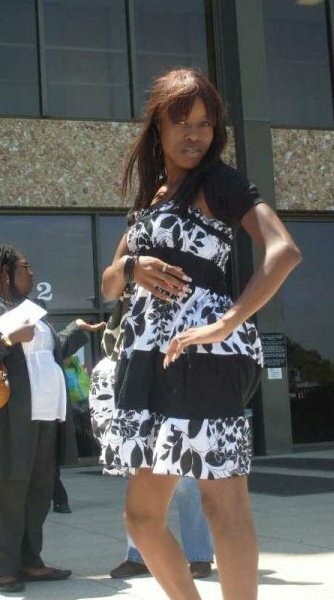 Although she has been found NOT GUILTY of the reckless driving charge (which was the only reason for stopping her in the 1st place), the District Attorney’s Office has initiated an expensive and time consuming appeal of the 3 charges that were dismissed by the Inglewood pretrial judge which were: 1 count of resisting an executive order and 2 counts of battery on an officer. I believe my niece is still being singled out and harassed by the LA County District Attorney’s Office and by her former employer The Los Angeles Police Department. As of today’s date, I estimate that over 6,700 hours of man power at a cost of over $500,000 have been spent by the Los Angeles County District Attorney’s office in an effort to single out and prosecute my niece on a misdemeanor charge and this does not include the thousands of dollars that have been spent by me and my family in my niece’s defense, not to mention the thousands of taxpayer dollars that are still being spent on this useless appeal which had a hearing date of March 12, 2009. THIS MUST BE DOCUMENTED, THIS MUST BE REPORTED AND THIS MUST BE MADE PUBLIC! In the original incident where I was brutally attacked by the Lennox Sheriffs and Inglewood PD, I was the one charged with Battery on an Officer. As unbelievable and ludacris as that sounds, above is the picture of the assault the Sheriff’s claimed THEY suffered at MY hands! The Sheriff Department actually forced me and my attorney to go through several discovery hearings before they produced this ridiculous photograph which supposedly shows the force and brutality that THEY suffered at MY hands! As you read, I was beaten, thrown to the ground, stepped on, sat on, scratched, choked, pepper sprayed, and then hogged tied, and thrown in the back of a police car with no ventilation. However their claim is that I punched and kicked and even “BROKE” a deputies badge during the confrontation, and as you can see this is all they could produce. No scratches, no bruising, and no medical attention was required by any of the officers involved and the best they could produce was this unclasped ‘NAME TAG’. OH! Keep in mind that Deputy Maurizi (the deputy pictured above) is the SON of D.A. Jan Maurizi who is the right hand to Steve Cooley, head County District Attorney!